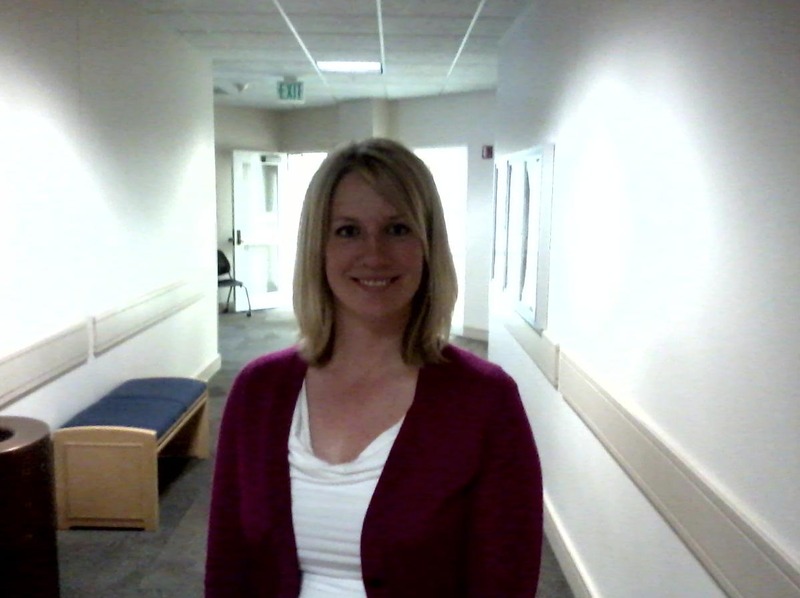 Rachael Skidmore makes her way through her little basement shop welcoming and assisting customers. Vintage clothing adorns the walls and fills the shelves and round racks. Skidmore leads one regular customer to the dressing room while chatting about different aspects that are happening in her life. Other customers wander into the shop and take in the friendly environment. As Skidmore comes back to take her place behind the counter, she greets the new arrivals and begins establishing relationships with the customers once again. Amid the tiresome franchise businesses in Salt Lake City, charming local businesses such as Skidmore’s Maeberry Vintage strive to claim their own name and brand by establishing strong ties with customers. Rachael Skidmore opened Maeberry Vintage in the basement of a shop on 207 E Broadway. Skidmore started her business as an online Etsy shop in 2010. But she noticed her desire to be closer to the community. She transformed her Etsy shop into a physical location in 2013, and named it Maeberry Vintage. “It happens little by little, and everything just falls into place,” Skidmore said. Businesses like Skidmore’s generate their community engagement by communicating with customers and welcoming new guests. Many owners and employees of local businesses push to create relationships with their customers, which creates a connection between shop and customer. Low understands the value of employee-consumer interaction first-hand. Before he became a bookseller, Low was just a regular customer interested in reading rare books. He spent a lot of his time browsing and reading books in the store near where he was living. He developed a connection with Ken Sanders, the owner of the bookstore, and ended up receiving a job through this relationship. “I asked for a job one day, and they needed someone to do shipping,” Low said. He enjoys working somewhere that has character. Ken Sanders Rare Books is located on 268 S. 200 East in Salt Lake City. Low has been working at Ken Sanders Rare Books for about five to six years. That is just what most businesses hope to show: that the staff really cares. To help build that connection between employee and customer, Utah has its own nonprofit organization to educate and represent local businesses. Local First Utah, organized in 2005, works to provide assistance to local businesses including Mayberry Vintage and Ken Sanders Rare Books. But that is just one way the economy can flourish. Local businesses owners can also contribute to the state’s financial health. As Mayberry Vintage owner Rachael Skidmore searches for more clothing and accessories to sell to her customers, she searches for those items from within the state. “About 95 percent of my products are sourced locally,” Skidmore said. By doing so, she continues to develop relationships not only with her customers, but also with her suppliers. This generates constant connections with buyers and sellers in Utah. Whether it be starting a business like Skidmore, or working at a favorite store like Travis Low, local businesses find ways to develop deep connections with their customers. Sometimes food just needs an extra kick. Additional flavors and heat can make what was once bland, become a brand-new taste full of extra zing and spice. Giselle and Jason McClure of Salt Lake City have concocted an original flavor booster known as chili oil. The McClures create the chili oil in their own basement, only to later be distributed to 22 different locations in the Salt Lake Valley available for purchase. Their concoction prompted them to start their own business, Chili Beak. Giselle and Jason McClure show off their latest flavor of Chili Beak. Unlike hot sauces and salsas, tomato and vinegar is not added to create chili oil. It is a unique blend of a variety of chili peppers with oil and other spices. The main pepper that is used is called chile de arbol, which means bird’s beak chili. This is where the name Chili Beak came from. It is a completely unique product which the McClures ultimate long-term goal is to see on tables at many restaurants as a replacement to Sriracha. Chili oil is the ultimate condiment. It can be added to everything from eggs, soups, brownies, and even popcorn. Simply just stir it with a spoon, and scoop it onto food. Its smooth consistency and natural ingredients create a unique flavor that does not upset the stomach. No preservatives are added, and all ingredients are all-natural. It can be used as a marinade, mix in, or even added into recipes to create original new flavors. The flavor of chili oil will be felt first, and then a subtle heat begins to creep into the taste buds. While visiting Giselle’s family in Mexico years ago, the McClures discovered chili oil. They could not find any product like it in Salt Lake City, so they decided to make it themselves as amateur chefs. After seven months of constant trial and error, and a multitude of coughs and sneezes, they created the perfect mixture. They considered it better than the recipe they tried in Mexico because of an added smoky flavor. The smokiness is created with a lack of sugar and ginger. This was something different that needed to be experienced by people of the United States. Even Giselle’s family in Mexico was requesting that they have their own to share with their friends and family. Chili oil is meant to be stirred and served with a spoon. Only having started their business in August 2014, Chili Beak has expanded tremendously through word of mouth and social media. A Facebook, Twitter and even an Instagram page have been created to promote the business. The McClures wanted to create a responsive community in which people get involved with Chili Beak digitally. This is what began the creatively catchy “Let me Spoon You” campaign, which is named after the unique way to prepare chili oil. Through social media, and using the hashtag SpoonYourFriends, families are showing how they are using and preparing Chili Beak in their foods. This creates an interactive experience in which creative ideas to use chili oil are shared on Twitter, Facebook and Instagram. It was through this that the ingenious idea of using chili oil on top of vanilla ice cream was discovered by a customer. For Valentine’s Day, the #SpoonYourValentine campaign was created to share how people were preparing meals for their loved ones with Chili Beak. 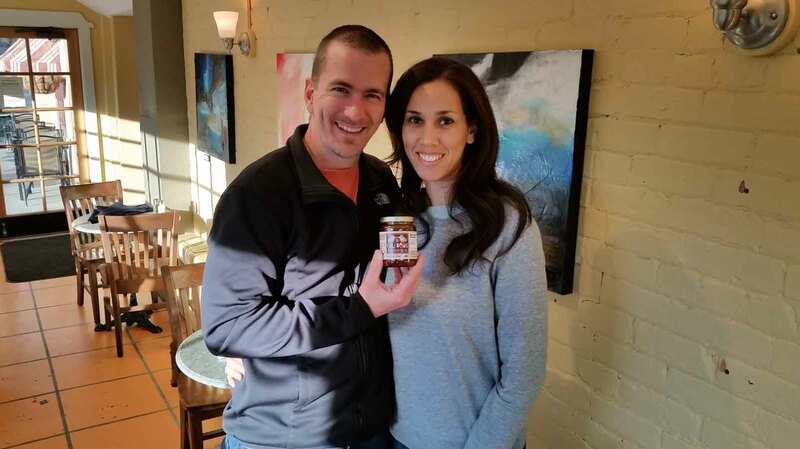 Chili Beak has created a community for all to get involved with, and has inspired the McClures to want to create a chili oil recipe book based on the inventive recipes customers have shared. 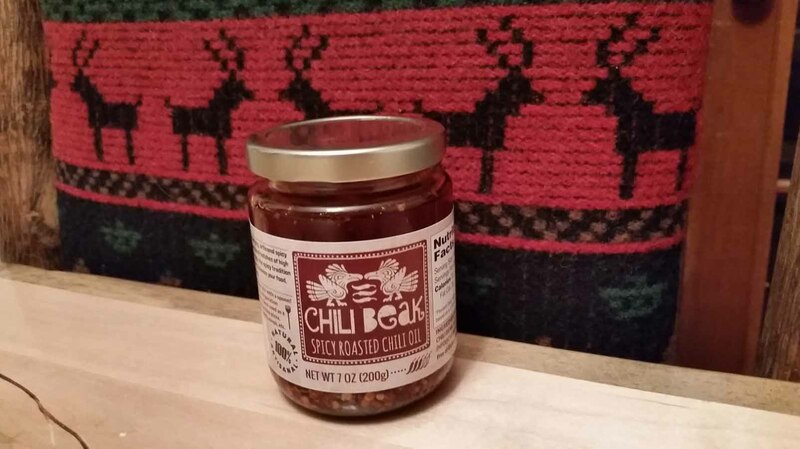 All ingredients that are used to make the chili oil that Chili Beak produces are bought from local businesses within Utah. For example, the salt used within the oil is bought from Utah’s Redmond Real Salt. Local businesses are their own community, and they do whatever it takes to help each other out. 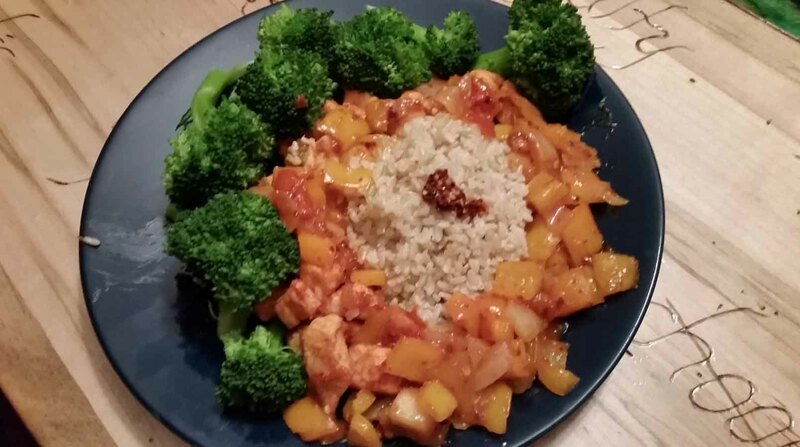 People share their recipes online, such as this mango chutney made with Chili Beak. While sampling Chili Beak at farmers markets in the area, the McClures use locally-produced chips and chocolate from Hatch Family Chocolates. The chili oil is added to things like hummus and ranch dressing for people to taste. It’s a challenge when people ask about the hummus and ranch, and not the chili oil itself. The chili oil is what creates the unique spicy flavor to the condiments. But, the McClures enjoy promoting a product that is different to a local community. It is a matter of experimentation to truly discover the one-of-a-kind flavor chili oil produces. Small-business owners struggle to find the time in their lives to simply start a business, let alone worry about the smaller tasks like establishing a presence in social media. But, having a solid presence on social media like Facebook, Twitter, or Instagram is critical. Kristen Lavelett, executive director for Local First Utah, knows from her own work with the educational group how important social media influence can be. Local First Utah has more than 20,000 followers on Facebook, through which it informs its audience about various campaigns and services it offers. Local First Utah can quickly and effectively distribute information about its mission. However, social media are not all rainbows and sunshine. There are difficulties with social media that aspiring business owners must grapple with as well. One artist, Talin Tanielian, experienced these difficulties firsthand. She had been creating art from a very young age, dabbling in everything from watercolors to animation. She even traveled to France to take art courses at “Gobelins,” a prestigious art school where she received training from animators who worked with Walt Disney Studios and Pixar. After she graduated from the University of Utah, she started thinking about turning this passion into a career. She began selling her art out of her home in Sandy, Utah, via online websites like “Deviantart.” In January 2014, she turned this process into a new business, “TabbyToons.” To start to advertise her newly built business to a wider audience, she branched out from Deviantart and posted various drawings she had done on Facebook and Instagram. Though she could now more easily distribute her art and show off her talents, Tanielian found the change from doing art as a hobby to doing it for a living was much more daunting than she expected. Before creating her business, she received nothing but positive feedback for her many art pieces. Hardly anyone outside her friends and family had access to her drawings, paintings, and animations. However, when she started using Facebook and Instagram as a medium to advertise her various creations, she experienced an unexpected and disheartening result. But she realized these critiques didn’t have to have a negative impact on her or the artistic reputation she created. She strove to use the criticism as another positive aspect of social media, rather than retreating from the judgments people have made about her art. “Feedback is inspirational and pushes me to keep going forward,” she said. So Tanielian embraced social media. She put her art out on Facebook and Instagram and prepared for the judgments that would inevitably come from complete strangers. “[TabbyToons] adds to who I am and what I do,” she said. Her business has grown from a small group of admirers to dozens of fans and buyers, due largely to social media. She said she still has a long way to go to get “TabbyToons” where she wants it. But her goal is to have multiple websites devoted solely to selling her art. Ann Marie Thompson said the Women’s Business Center is available to help all small-business owners, both women and men. This growth may have occurred in a small business like Tanielian’s, but can a larger, locally-owned business expect the same success?